Question Time: What is Malta's topmost priority in this new year? Malta is today in a strong enough position to be able to focus on the future. It’s an opportunity we haven’t had for an entire generation. 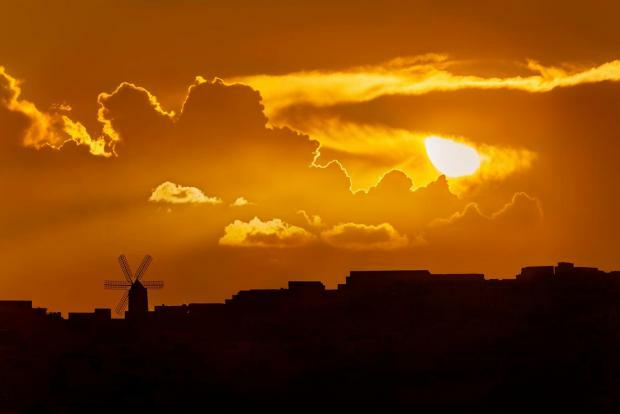 Economic forecasts made by the European Commission show that, in 2019, Malta will have the largest rate of economic growth and increase in jobs in the European Union, an increase in wages three times the rest of the EU and one of the best surpluses despite reduced taxation and increased social spending. Such an optimistic situation allows us to seriously invest in the future. As a strategy for the country, instead of worrying about the next day, we can now look ahead to where we would like the country to go over the next decade and beyond. First and foremost, by upgrading infrastructure through the acceleration of unprecedented efforts. The construction of new road networks to sustain a rapidly growing economy; the call for proposals for a tunnel connecting Malta and Gozo to strengthen connectivity between the two islands; the plastic bottle return programme to address the country’s cleanliness. The government will invest further in educational infrastructure to prepare our students better than ever before, in health infrastructure with robots assisting specialists during operations, in social infrastructure where we will increase expenditure to assist those who are less well-off, and in cultural infrastructure, building on the legacy of Valletta as Culture Capital of Europe. We will keep working on new technologies, such as blockchain and artificial intelligence, which will help secure future employment for children who today are at secondary school, and will reassure today’s 40-year-olds that they can rely on receiving a pension. While this new year will be a historic moment as our country becomes one of the first in the world where youths aged 16 years have the right to vote in national elections, 2019 will also see the initiation of a consultation process on how Malta should have a greater representation of women in Parliament, and on the way forward on the constitutional convention. Naturally, 2019 will offer its own challenges. We need to address further those who still need help, such as families trying to keep up with the cost of living, pay their rent, or find a better-paying job. Positive change has become an everyday occurrence in our country. As the latest Eurobarometer confirms, among all EU citizens, our progressive Maltese population is the most convinced about the direction of their country and have the highest trust in the government. We will continue to work hard to be worthy of this great trust. We will keep seeking to be among those who shape the future. Indeed, 2019 will be a better year than the one that has just ended. I believe this year’s topmost priority should be a significant and credible effort by all to restore the true purpose of meaningful politics and focus on visionary policies for our country and the people. Raising the bar of where we want to go as a country, based on policies where wealth and opportunities will be enjoyed by all. Restoring the necessity that people are not simply numbers and therefore, aiming for a society that truly cares about who is falling behind, caring for those 80,000 people who are at risk of financial poverty and those over 3,200 who are seeking social housing or those hundreds of families who are living in substandard dwellings. Top on the list of priorities would surely be the need to ensure that the businesses that are doing well will continue doing so, and expand, while those who have suffered financial losses or even more been forced to shut down will be supported through sound policies and targeted programmes and initiatives rather than relying on the comfort that the aggregate number of SMEs are growing. 2019 must definitely be the year to restore our once pristine reputation where we must as a country stand out by attracting new high-quality investment, foreign and local, which provides for high paying jobs rather than priding ourselves in building short-term economic growth driven by cheap labour and sale of passports. The vision of the Nationalist Party is one that believes in the capability of our local human resource, while investing in education to provide the necessary training and skills supported by a long-term plan of a hybrid of foreign workforce which will contribute to our economy by enriching the skills of our workforce for the years to come. Another top priority is definitely the necessity to focus on the challenging reality of our pensions, its structure, sustainability and even more important its adequacy to sustain today’s standard of living for our pensioners. We simply cannot remain passive to the fact that the number of pensioners who fell in the risk of poverty in the last five years doubled! Sustaining and protecting our environment is definitely another topmost priority for this year, which clearly has been neglected in recent years. While sustaining the needed development, we need to sensibly invest in town planning for the future, which must provide for public spaces and green areas, landscaping and an environment which compliments the vision of a future Malta for 2050 and beyond. The environment, our quality of life, better connectivity, better transportation should definitely be top of the government’s agenda. We need to invest in a cutting-edge visionary means of mass transportation that revolutionises our outlook for the future. Last but not least is the utmost importance to invest in a futuristic and visionary policies for our children and future generations structured on meaningful policies, good governance which inspires innovation, ideas for robust and sound investment. Growing up, I remember being outside – running, playing, laughing – in natural surroundings, appreciating every flower, every tree, every birdsong and seizing every opportunity nature provided me with. I swam in a clean sea, went into the countryside for picnics, basked in the sun with my school friends and family – all opportunities provided not by the State, but by my clean country. Nowadays, this is no longer the case. People will choose a private pool over the sea when they can, they will choose a sports ground over open spaces. This is not by choice, but because what other choice are there? We are surrounded by a sea contaminated with slime and plastic, the ruins of construction taint the landscape we have always been so proud of. The sad fact is that Malta is in a bubble of closed-mindedness, greed, and a lack of collective action. There is a lack of awareness on a collective level – people are more concerned with their clothing brands and profits than about the state of the world they will leave for us. How do people not realise that they are sacrificing our future for instant gratification? The country that gave us so much is slowly turning into an environmental ruin attacked by cranes and high-rise buildings, and by traffic which is contaminating the air around us and the health of all. Moreover, alternative means of transport aren’t being catered for. Our quality of life has deteriorated. To our shame, we are the only EU country to fail every single one of the environmental sustainability goals. Yes, our mortality rates have decreased, but our health is in total despair. We have the highest level of obesity in our adolescents, we score close to the bottom in EU education statistics, and sustainability has been thrown out of the window. How do people not realise that they are sacrificing our future for instant gratification? Our health and our environment are being traded not for public interests but to benefit the select few in power. Finally, as a student, I am concerned that our education has trained us to make us study and achieve good academic results, but not to make us better men and women. Racism, intolerance, bullying, gender violence, political tribalism and religious conflicts abound. A lot can be done so that we have a better 2019. We must collectively work in the interest of the public good no matter how young or old we are. I am a proud Maltese youth and I hope that 2019 will bring about a change in our attitude, so that through good governance, Malta is guaranteed prosperity. This is my teenage priority for 2019 for a better Malta.